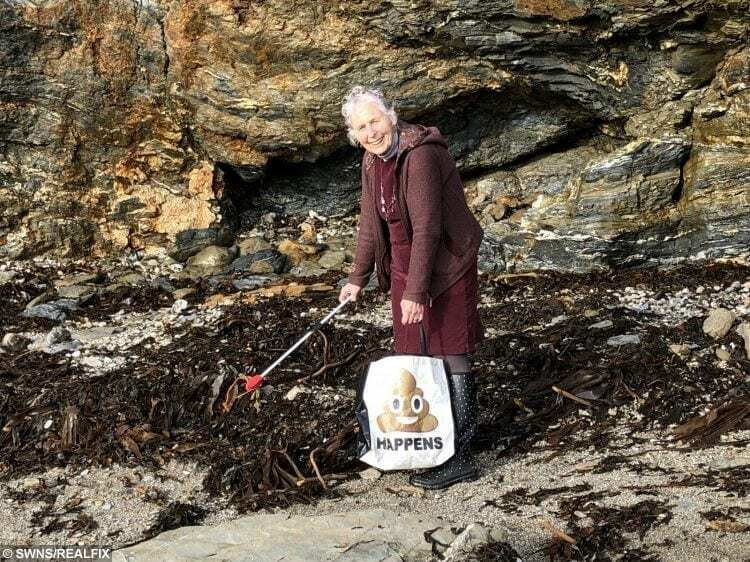 A grandmother has spent an entire year cleaning all plastic off 52 British beaches after making a New Year’s resolution to clean one sandy bay each week. 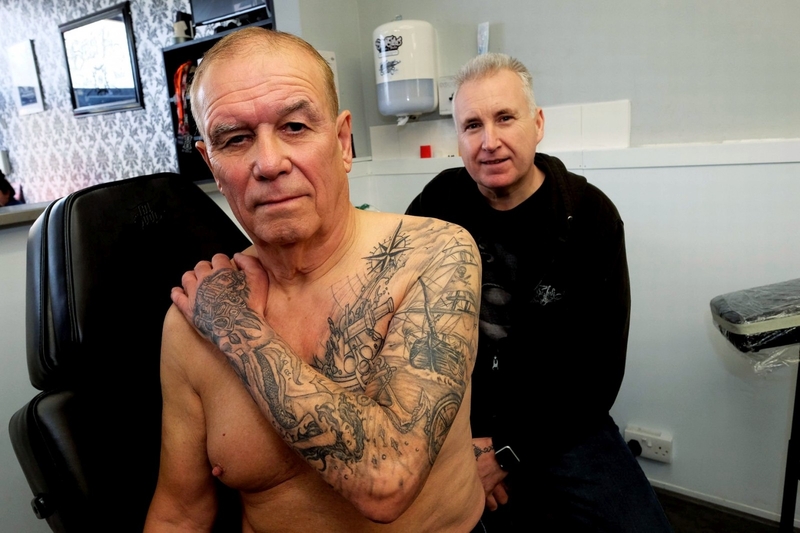 Pat Smith, 70, spent all of 2018 on Devon and Cornwall’s iconic beaches each week – armed with bin bags, rubber gloves and a litter picker. 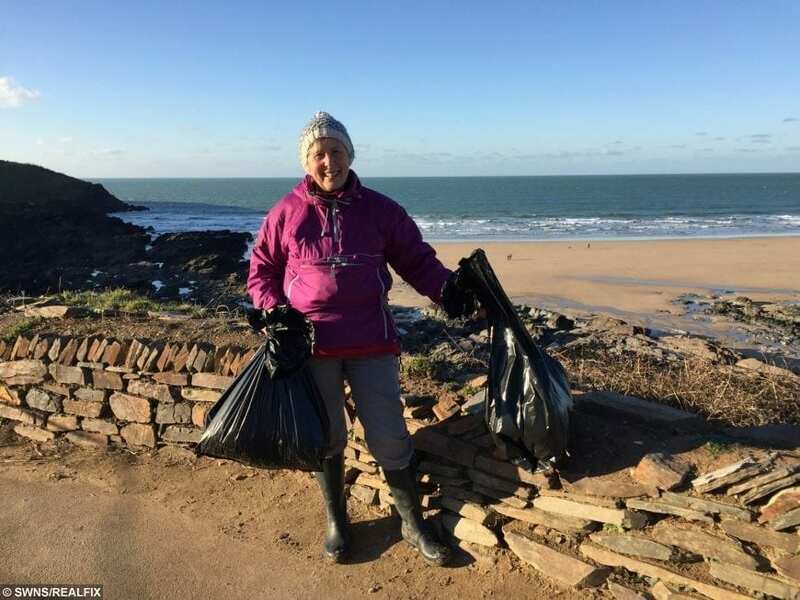 She travelled without fail from one end of the South West to the other, collecting litter in beauty spots from Coverack, Cornwall, to Blackpool Sands, Devon. Wayne Dixon and Pat Smith. 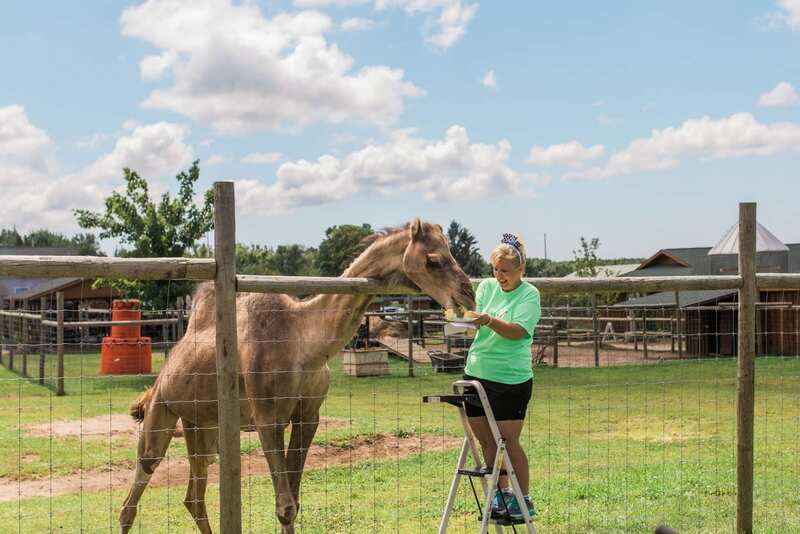 Married mother-of-two Pat has no intention of stopping – saying that the beaches need her. 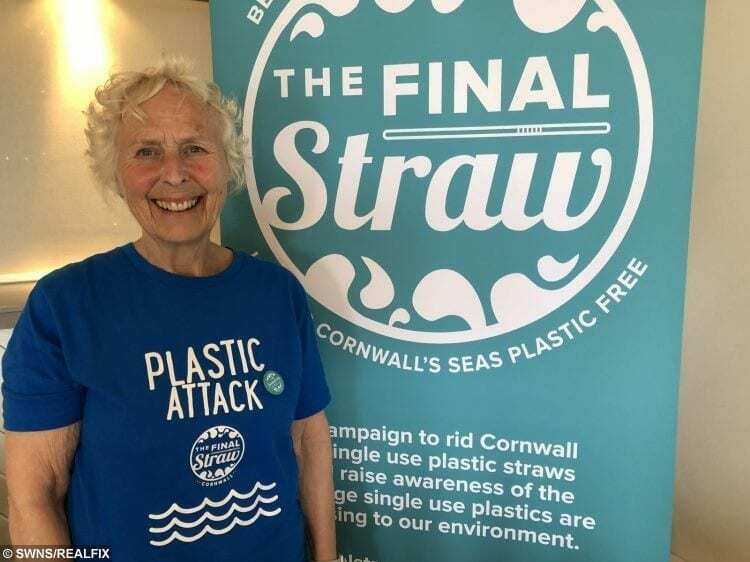 Pat, founder of the environmental campaign group Final Straw Cornwall, said: “Doing 52 beach cleans in 2018 was my New Year’s Resolution and it’s finally done. 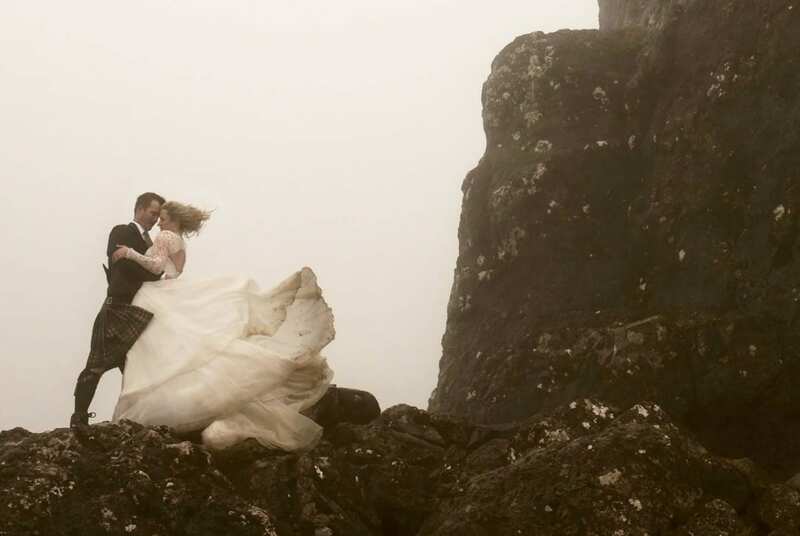 “I won’t stop as our beaches need me. “A lot of the rubbish I have picked up consists of everyday items. These things are used by all of us and it is shocking to find them polluting our beautiful beaches. “Please let’s try to be more thoughtful in this coming year. 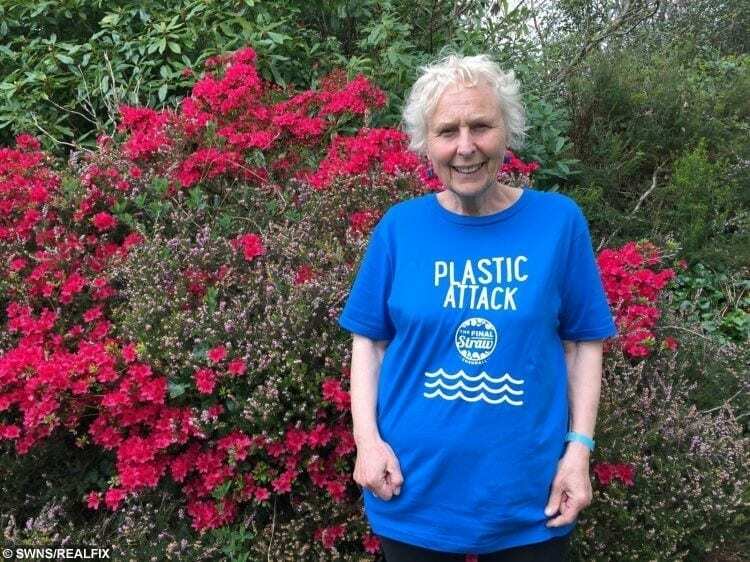 Pat said she was urged to take action after noticing the effects of plastic pollution, and she reflected back on her life. She said: “I grew up in the generation where plastic use was at it’s worse. I lived through that, yet I lived the life campaigners are pushing for now. Pat said that she was often joined by other volunteers who were determined to keep our beaches clean. 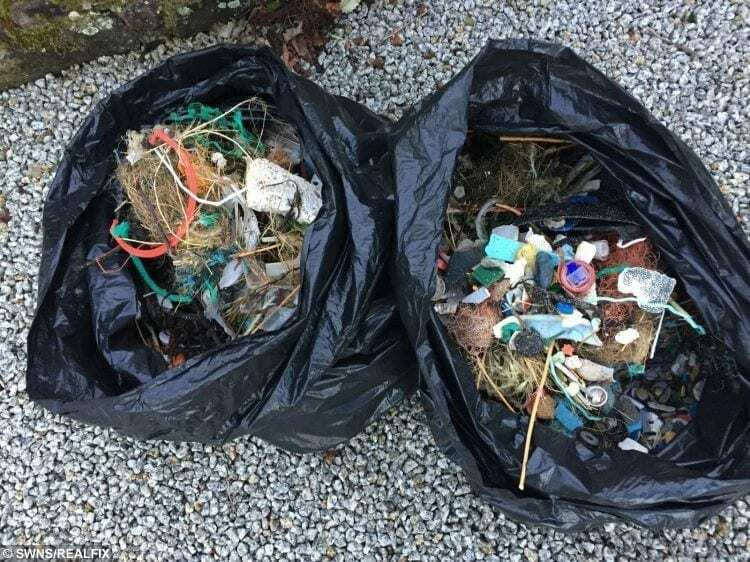 Just some of the plastic rubbish collected during Pat Smith beach cleans in 2018. But she said not everyone understood, and on some occasions, she would be mistaken for doing community service. 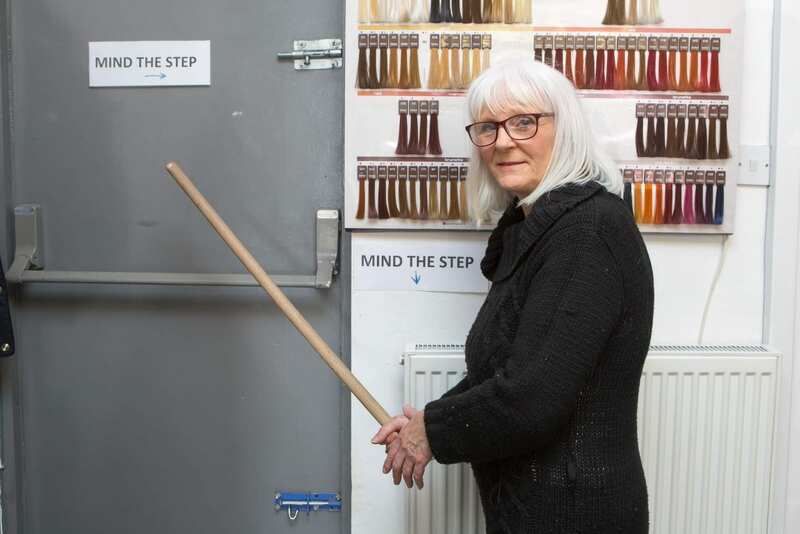 She said: “People don’t understand I’ve been doing this voluntarily. Along the way, Pat, who also runs a bed and breakfast in St Austell, Cornwall, joined with other campaigners. 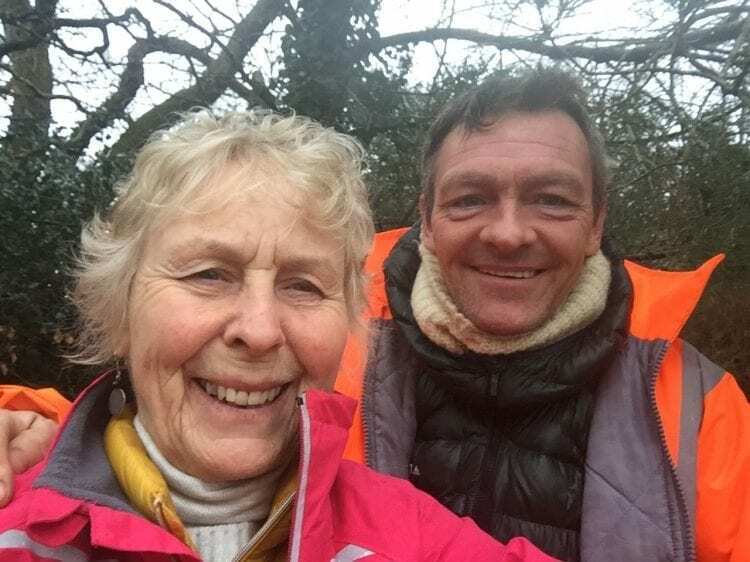 She spent time with Martin Dorey, founder of the 2 Minute Beach Clean, and Wayne Dixon, who is walking the UK coast as an ambassador for Keep Britain Tidy. A comprehensive list of the beaches Pat cleaned, and highlights of her experiences, is below. Pat said: “I spent the afternoon picking up plastic on Fistral beach, having read social media posts depicting the massive plastic dump following Storm Eleanor. 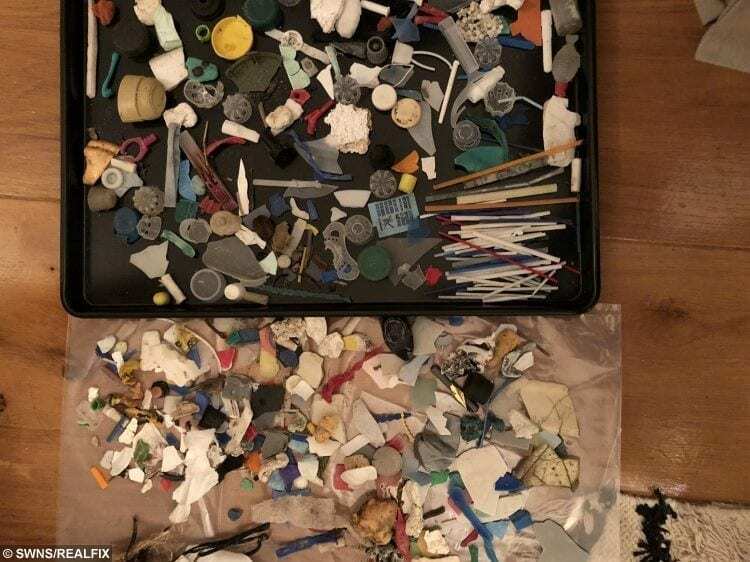 “In two hours I collected two black bags full of tiny fragments of plastic detritus which the ocean had spat back at us. “Our beaches need all of us out there doing our bit. “Some lovely people stopped to help but if only one per cent had bothered to pick up a handful each, the beach would be clean in no time. “I really believe that once people become aware that it is their plastic rubbish littering the beach and get stuck in, they would be more careful about avoiding disposable plastic products in the first place. “Time for a change of attitude people unless you want to watch beautiful beaches drown in plastic and go swimming in the stuff! Number Nine, Crinnis and Charlestown. Pat said: “I was amazed to find collections of dog poo bags obviously thrown into the hedges by dog walkers on their regular daily walks, even though there were bins close by. Numbers 10 and 11, Pentewan. Number 13, Portreath – with my grandchildren. Pat said: “The beach was remarkably clean, scoured by the tide each day and regularly checked by a group of local beach cleaners. “I met two in the hour I was there, both proud and enthusiastic beach guardians. We collected some styrofoam, macroplastics, a few bits of net and a broken beach bucket. Number 19, local litter pics. Pat said: “My 20th beach clean with Surfers Against Sewage, Plastic Free Porthtowan and the lovely Nicky Willows in glorious sunshine. “It was part of the celebration of Porthtowan continuing to hold the Blue Flag award for achieving high water quality and environmental standards. Numbers 21 and 22, Polkerris and Readymoney Cove. Number 23, St Anthony in Meneage. Number 27, roads near Bosinver Farm Cottages. Numbers 29 and 30, Croyde and Widemouth Bay. Pat said: “Today there were pieces of plastic all along the beach, mostly lumps of polystyrene and microplastics. 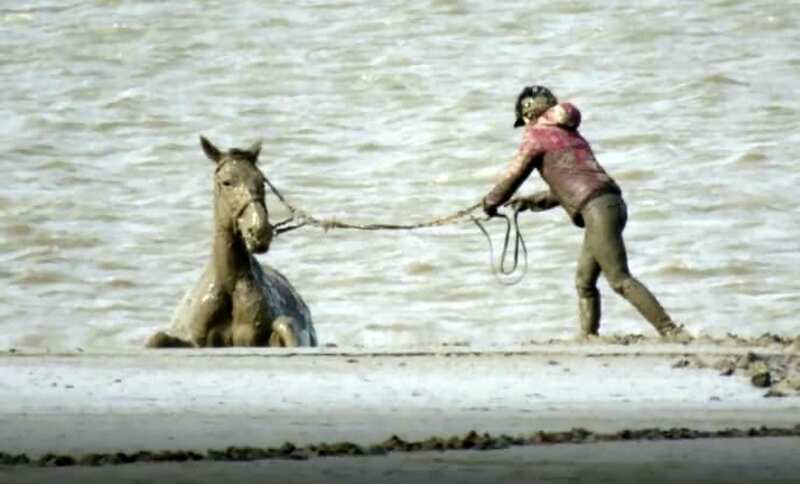 “At the far end of the beach just before the little cove of Portgiskey was a massive wall of sand and seaweed thrown up by recent storms and I had a fine time pulling out lengths of plastic rope. “Goodness knows why the rope had all ended up here and why fishermen cut off such lengths and throw it overboard. Number 50, Christmas day – Trevone beach. 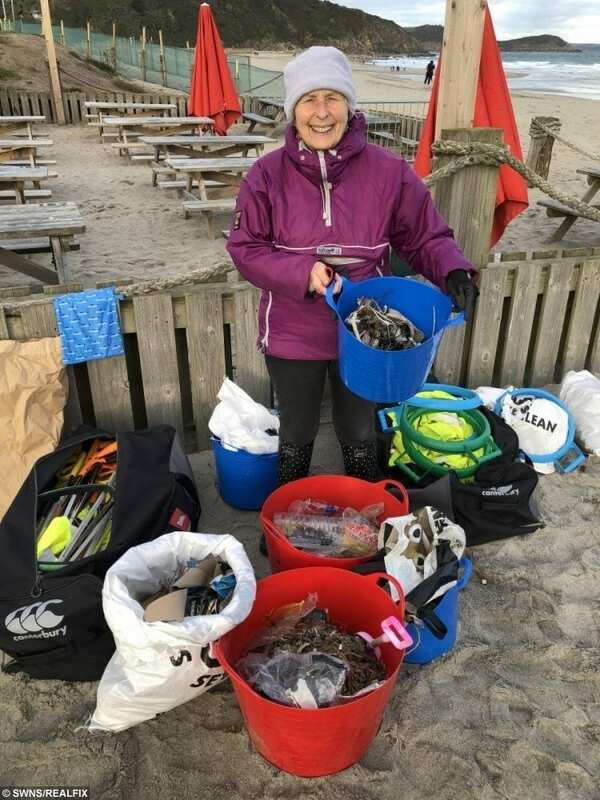 She said: “I took off to the rocky beach just west of Trevone and scrambled down to a seaweed-laden cove where I found several pieces of plastic bottles and items of fishing gear. Number 51, Pentewan with my grandchildren. Number 52, Charlestown, Porthpean, and Duporth. Pat said: “All three beaches looked clean enough but heavy swells had brought in piles of seaweed which again was littered with pieces of plastic. 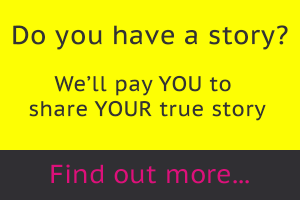 “Today I am going to give you a tally of what I collected. On her last litter pick, Pat collected one plastic beer glass, two bits of balloons, one light cover, half a rubber dog ball, one crisp packet and a handle of a child’s fishing net. She also got remains of a man’s cap, 12 pieces of plastic rope, one ear tag, one cup holder, one ponytail band and a piece of a fishing bouy. 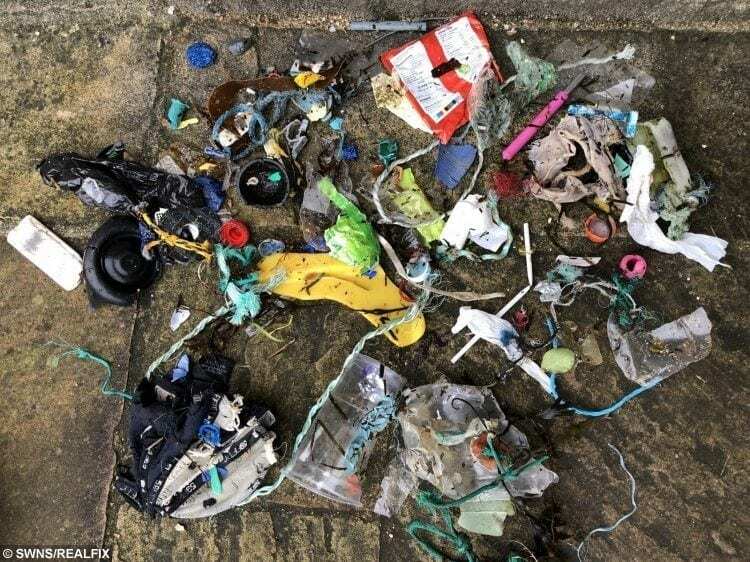 There was a small plastic bottle, eight plastic straws, six plastic bottle tops, three cotton bud sticks, tile spacers, two electric cable holders and one dog poo bag. Three bits of plastic bags, six plastic bottle pieces, two wet wipes, three sweet wrappers, two chunks of filler foam, one plastic rope holder and rope and 46 pieces of assorted plastic bits. 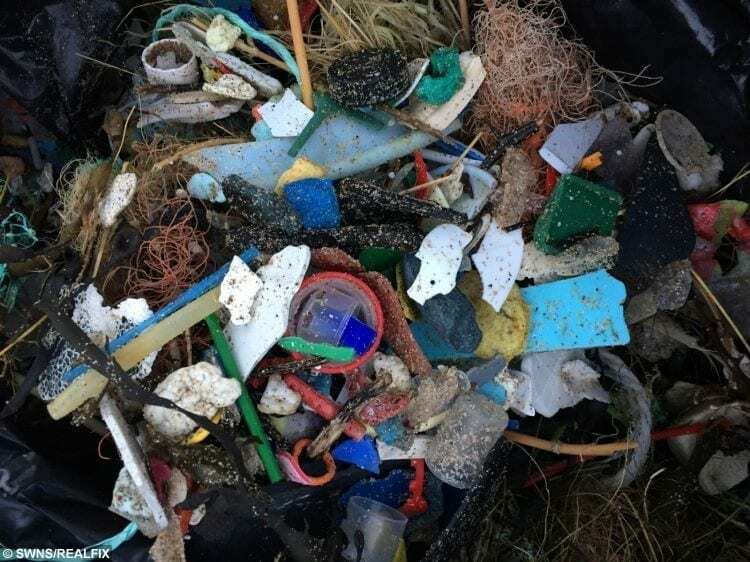 Pat added: “Besides the fishing gear, most of these are everyday items used by us and it is shocking to find them polluting our beautiful beaches. “I am driven to try and protect our living planet for my children and grandchildren and I will continue to do everything in my power to achieve that.